Go ahead and indulge! 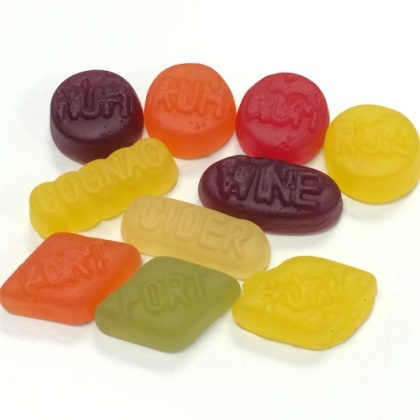 These wine gummies are alcohol free, but flavored to taste like your favorite liquor. New recipe, soft texture and sweet flavors of port, rum, cider and cognac. Imported from Holland. Size varies: approx. 4 pieces per ounce. 8 oz bag. Adult gummies - really good!